Our overall vision and goals set the stage for the manner in which we manage our resources. We strive for excellence, high quality and transparency in the production of food in a sustainable and responsible manner. Our commitment to multi-generational farming ensures that we take a proactive approach to managing our farmland and resources, as we see the current environmental focus on sustainability simply reflecting what we in the farming community have been charged with protecting for hundreds of years. The same resources that are important to the environment...soil, air and water...are essential for agriculture. 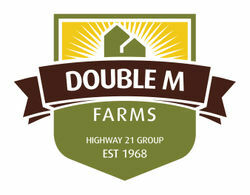 At Double M Farms, our extensive cropping acreage requires that we stay up-to-date! Check back from time to time and as we find new and interesting links, we will share them with you! Check out our Custom Cattle Feeding and Custom Ag Services Divisions!